and admirable! in action how like an angel! “What a stupendous, what an incomprehensible machine is man! in vindication of his own liberty, and the next moment . 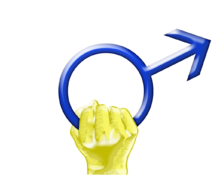 . .
International Men's Day occurs on November 19th, but I didn't know that when I planned this prompt. You can read about it HERE or on Wikipedia. I chose this motif because I want so much to read a loving phenomenal man poem. And given so much news lately about men victimizing women, I thought we might foreground men who haven't committed crimes against women. Your Challenge: Let your poem show how a specific man is special. Choose anyone you want--famous or not, living or dead. Post your Man's Day poem on your site, and then link it here. Please leave a comment here and read and comment on our poems. Good Morning! We're talking about special men today. Welcome! I'll be back after coffee and feeding the kitty who is going strong at age 21! Good morning and thank you for the challenge - a 21 year old cat now that is a wonder...i am not sure how blue we veered but perhaps men and women can be special for all the wrong reasons - or all the right reasons...we hope for the latter in the next 21 years! Bless you! You are more than welcome. I share your hope. Ha, a very timely prompt, Susan, given the most phenomenal man in my world just pulled through a life-threatening medical event. And yes, with all of the rapings and killings, it is good to reflect on the fact that the world also is filled with decent, honorable, gentle men. Great prompt. I'd be glad to meet that phenomenon. Is he still playing music? Hahaha! Yes, that's exactly right. You are so very welcome. Wow, a 21 yr old kitty--how luck you are! My 14 yr old kitty is curled on my legs at the moment and that is heavenly! The first line of the Shakespeare quote today struck me with such sarcasm, but I see we are honoring men today, so I will keep away from the sarcasm ;-) Thanks for the great prompt. Keep enjoying that kitty, Susan! There was a period of my life when I couldn't see anything positive in men. That may be when I began to befriend cats. But I took this quote of Hamlet's out of context. His next lines are: " And yet, to me, what is this quintessence of dust? Man delights not me. No, nor woman neither, though by your smiling you seem to say so." And he's speaking in prose, not poetry--pretend crazy? So it may be sarcasm, at least it could be performed that way. Yes, I had a period like that too, but I have sons now and I think men are awesome :-) Susan, out of curiosity I looked out how to discern how old (in human years) a cat is....and yours is 109 years old. Did you know that? WHOA! You've got quite the senior kittizen on your hands. I submitted my name. Then checked? It won't work. It is: http://.www.somethingsithinkabout-annell-annell.blogspot.com I tried to fix it, but it told me, I had already entered????? Can you help? Yes. I will fix it. But you are entering the name of your blog when you should be entering the link for the specific poem. That would work better. Each week that I have fixed it, I erased this address which doesn't work in a linky, and replaced it with the real link--lucky I found it. Try that next time, OK? Voila! Your link for this poem is: http://somethingsithinkabout-annell-annell.blogspot.com/2015/03/poets-united-midweek-motif-ordinary-man.html--You fnd it by clicking the title and then copying it from the address bar. Good luck with that! But I fixed today's. Thank you Susan for a most excellent prompt. The past year has been quite difficult traumatic for me and blogging became way down on my list of what was important in my life. However there is a wind of change (as things settle) and I thank you for your inspiration. It is time to take my life back. God speed as you find your way forward. This poem is mind-blowing. Thank you. I have a meeting at my church tonight--White privilege and Racial Justice--I love especially the community building aspectds of this work in West Philadelphia.. See you around 10 pm. Good prompt, Susan! I had a busy day today, but finally had time to write my poem!! Thank you, Mary. I love your poem. Thank you, Sumana. You are not late, not at all. I'm glad to see you today and glad you can visit others. Bad laptop!! I mean, good baby laptop, you keep working now!